The moccasins are footwear that protect the feet from blisters or from stepping on something that could bruise or hurt the foot. 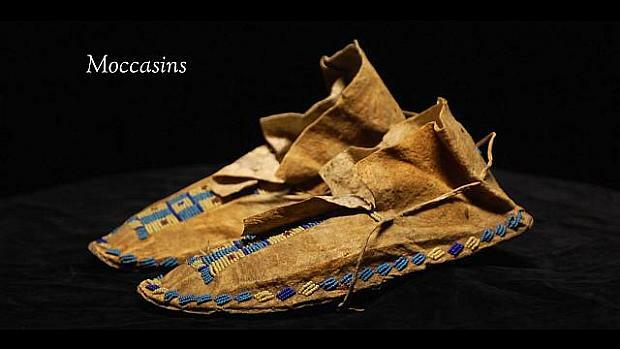 These moccasins are made from buckskin. We walked and stalked the animals. We were a healthy people and were lean and in good shape.